“Located along a private beach on 235 Middle Neck Road, this opulent Gatsby-inspiring estate spans over 5 acres. A mere 25 minutes away from New York City by boat, this home is the perfect scene for a roaring 20s party. Just picture the glitz and glamour of fireworks reflecting across the water at all hours of the night.” For a cool $16.9 million you, too, can live in the home that inspired F. Scott Fitzgerald. Pair with our own Sonya Chung on adding The Great Gatsby to her teaching syllabus. Towards the end of each year I do one of those anonymous surveys where I ask the students—high-school sophomores and juniors—how much they read, as a percentage, of each book. I’ve been doing this for the last 10 years or so, and the results are remarkably consistent: most students read most, but rarely all, of each book. About 15 percent read every single word of every single thing, some of it twice. These the kids who would read the contents list of a 7-11 freezer if told, the same students who tend to sit in the front row and take the kind of notes that end up in the Smithsonian. Another 15 percent admit to struggling to even open the books, but would gladly read the 7-11 freezer list because of its novelty value and the refreshing lack of obfuscating adjectives and modifiers. The 70 percent of students in the middle make up the dominant percentage, the ones who often leave little notes, not quite apologia, but regretful explanations about wishing that they had more time to do all the reading because they would have liked to, that they did most of it, that what they read of The Great Gatsby was really good but what with other homework, and athletics, and Uncle Steve’s birthday dinner, and the cousin in Jersey with leukemia, and x not yet having said anything about prom…well, there was a lot to think about. All this at three separate independent schools in different parts of California. Like I said, remarkably consistent results, and results that translate across gender, race, and socioeconomic status. In terms of the not-highly-rigorous breakdown of those not-highly-rigorous statistics you get about 70 percent of the students reading about 70 percent of the material 70 percent of the time. All of which sounds terrific, except that most of the time, most of the 70 percent, and even some of the 15 percent taking Smithsonian-esque notes, see words rather than read them. For most high-school students, the act of “reading” recalls the soft glow of something done at night, before bed, in jim-jams with a cup of hot cocoa—the equivalent of night-time elevator music. Or, if not that, they’re “reading” on the bus, in the car, while standing outside class two minutes before the bell. And, at best, gaining an understanding of situation and context: who did what or said what to whom and where at what time in what kind of weather. Seeing words but not really reading them, a marriage without contact. I want them to see reading as something far more intimate, even fractured at times, as something combative, vulgar, assertive—a constant back-and-forth between reading and rereading, moments of stepping outside the text then coming back and battering at it with questions. Something better done in a flak jacket than pajamas. And high school students hate doing it. Who, what, when, and where, of course, are essential. You gotta figure out who’s sleeping with whom before you ask why. There’s a brother involved? What? No. Wait! They’re on a train? If that part’s hazy, the next stop becomes SparkNotes and PinkMonkey, and you might as well hand out the 7-11 freezer list. But how to truly turn them off? Ask them to annotate. The a-word: to add notes to (a text or diagram) giving explanation or comment. To say they “hate” it not strong enough. The most common disclaimers being about how it takes them out of the story, how if they stop they can’t remember what happened, that it takes too long, that it’s not enjoyable anymore. I’ve had students tell me, with genuine feeling, that reading’s been ruined for them—forever. Well, yes, if “reading” is that thing they do at bedtime with that cup of cocoa, and if that’s the thing ruined forever, then, no, I’m not sorry. How many students do trig curled up in bed without a pen or pencil? So the task has to be to get them to see reading as something a little more combative, which is not to undermine scanning and context. I love scanning and context, reading for the sheer drama of turning the page, for the drama of occupation, of escape—especially on a beach, or hungover, or sitting in 24E on a flight without a functioning TV. But in a high-school English class, the skill of reading as an intimate, assertive thing stands as the thing I’m more interested in—the premise being that if reading were less of a spectator sport maybe we’d inhabit a world better informed, more critical—and critical in a reflective rather than a reactive sense—a world shaped more collectively by thoughtfulness, by magnanimity. But annotate what, students ask? A fair question. And the place to begin is questions, the questions that come after the who, what, when, and where have been answered. Why questions—about place, about character, about motives…about the weather. Questions that pick at the story’s fabric in ways that enhance that fabric as opposed to designing a new one. 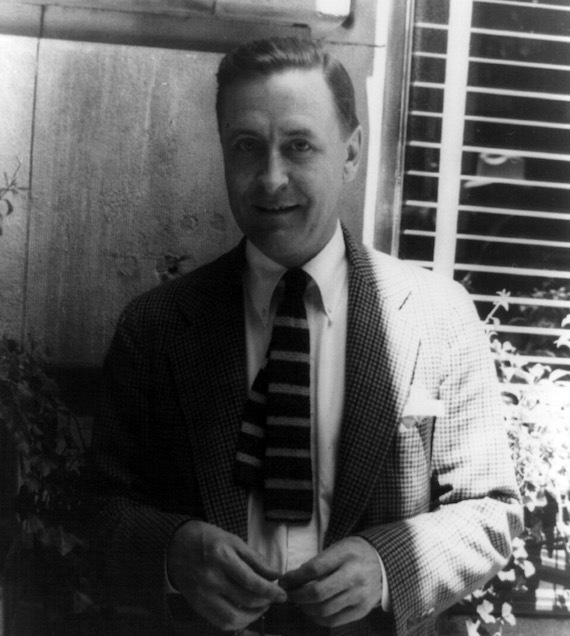 So, for instance, after reading the first couple of pages of F. Scott Fitzgerald’s The Great Gatsby out loud in class, students invariably ask questions about why the novel’s named after Gatsby, about what makes him great, if his father gave him any other advice than the part about not all the people in the world having had the advantages he’s had. About how come the narrator doesn’t know the name for a seismograph. Interesting enough questions, but dead ends, as a couple of the students put it (though at least two of their classmates are adamant that we need to pursue the seismograph thing) because they depend either on plot that hasn’t happened yet or hearsay. Better the question that at least allows for the possibility of an answer through what’s already there rather than depending upon the goose chase of the imagination. So when Nick Carraway says that “[R]eserving judgments is a matter of infinite hope” it might benefit us to ask why? Why “hope” as opposed to something else? Why infinite? And what might this tell us about Nick Carraway’s temperament? Questions that allow us to begin to work out the kind of world Nick Carraway lives in and how that world might interact with ours. The kinds of questions that unnerve what’s in front of us, that give us something to hold onto in terms of plot while, simultaneously, digging a little deeper into that plot. They want to know how many they need. A ball of string question. And I tell them not to go all gung-ho and answer the questions, but to let them sit for a while, the idea being to try and read from inside the story rather than from inside a predetermined perspective. Virginia Woolf calls it the art of delaying dictation: “If we could banish all [such] preconceptions when we read, that would be an admirable beginning. Do not dictate to your author; try to become him.” Even in novels, to delay that impulse, that reflex, as long as possible, allowing the piece itself a chance to stand, at least for a moment, outside the moment of presumption. The questions more important, paradoxically, than the answers. It sounds all back to front, but getting students to trust, first and foremost, their own ability to ask questions rather than a teacher’s executive ability to provide answers leads, again, to the kind of critical, reflective impulse our world so desperately need. It allows students access to a way of thinking, a means for seeing, long after they’ve forgotten if affect works primarily as a verb or a noun, or how many suitors Odysseus slays in the great hall. Which brings up the question of quantity. If the ability to read, and think, critically is the primary currency secondary education needs to invest in, then the disfigured mathematical percentage of how many students read how much becomes less important. I’m not sure it really matters if students read all of The Great Gatsby, or Their Eyes Were Watching God, or The House on Mango Street, Macbeth, etc. Of course it’s nice if they do, and it’s nice if they go out into the world with a complex sense of Gatsby’s dream, of Janie’s epiphany, of Esperanza’s journey, Macbeth’s predicament, etc., but I think it’s more important that they know what reading looks like, that they know it as an act of meaningful aggression. We’re not in the business of creating English majors, nice as it would be to fill the world with such people. But until Birnam Wood do come unto Dunsinane, I’ll take empathetic, critical thinkers as a stop-gap. Reading in high school is not about, or shouldn’t be about, numbers of pages; it should be about a way of thinking, a way of seeing. For that, we can focus on certain passages, the certain, crucial passages that most books build to—the golden bricks. As teachers, we can fill in the rest of the building. It’s the skill of reading itself that’s the important thing, perhaps the only thing. That said, they can’t be forced. It tends to work to begin small—maybe one annotation every two pages, but a real one. Not underlining or highlighting—that’s not annotating, that’s underlining or highlighting. Annotating is where there’s something highlighted or underlined and accompanied by a note working out why said moment was underlined or highlighted. Why questions: about reserving judgments and infinite hope. So, one every two pages. And we agree to it as a class. If one person doesn’t do it, we all do jumping jacks. Not literally, though I wish, just like I wish I could pull off having class outside and using saxophones and live macaws as props. In place of jumping jacks, a two-minute free write on some contemporary event, like a wardrobe malfunction. And this is where the larger picture begins to coalesce—the significance of developing a skill through reading that translates into larger worlds, a skill learned in a safe space where poor judgment comes without real consequences, except intellectual ones. The point being that the consequences aren’t human. They’re judgments about characters experiencing pain, triumph, sadness, joy, hurt, and so on, but we can get them wrong and little changes. Getting people wrong in the real world, of course, comes with real consequences, sometimes tragic. The skill of delaying judgment, at least categorically, until sufficient questions are in play stands so powerfully at the center of empathy. To return to Virginia Woolf’s point: if reading can teach us how to begin to push preconceptions about fictional characters further aside (“banish” seems overly hopeful), then reading perhaps serves as a model for a similar push in response to people in the world, and not just those that enter our interpersonal spaces, but also the persons in the worlds outside ours—the cultural, social, and political worlds so often represented in binary ways in the media. To effectively annotate and read the fictional worlds of Jay Gatsby, Janie Crawford, Esperanza, Macbeth, et. al. allows students, ultimately, to be able to do the same for hurricanes, race riots, economic policies, state of the union speeches, even wardrobe malfunctions—but to do so from a place that begins with witness, a place that works aggressively to keep preconceptions at bay—questions not answers. This what real reading can accomplish—an aggressive stance, a flak jacket, that stands as a condition, ironically, for more empathy. Romanticized? Maybe—actually, not even maybe. But still essential. The other part of this resides in stillness. To be still, to hover, inside a piece of literature requires students stopping for moments at a time within the characters and their fates, their worlds. Annotations force them into that space, if only for a moment, alongside a partial stepping back from the worlds circumscribed by their own egos: the teaching of reading as the teaching of stillness, a kind of meditative, cognitive moment where students develop the ability to be intellectually still in a world so often pushing their intellects to move at breakneck speed from moment to moment, a constant shuffling of information, their minds the photons inside the Hadron collider moving at a searing pace. And this is crucial no matter where students go to school, no matter what the classroom: English and History, Science, Math, Art, Foreign Language, Metalwork, etc. Students need to know how to undermine and dismantle the spectacles surrounding them, and how to slow each spectacle down in turn in order to better see the axles turning inside of it. Critical reading is where that stillness begins. Annotations in the margins of Macbeth or a set of scribbled-on sticky notes in Their Eyes Were Watching God are the beginning points of interpreting their worlds, the ones screeching past them without brakes.